* For additional information please refer to the Graduate Handbook. The offering of a graduate degree in Chemistry will provide students who have attained the baccalaureate degree in chemistry or other physical sciences, the opportunity to broaden and increase their knowledge in the chemical sciences. Additionally, it provides students the opportunity to enter into or expand their experience in experimental research in the areas of analytical, biochemistry, inorganic, nanobiotechnology, organic, physical, and polymer chemistry. The department offers multiple opportunities for interdisciplinary, collaborative research projects. The M.S. degree allows students to gain employment in industry, education, or pursue further study in Ph.D. programs in chemical science disciplines. Minimum combined GRE score of 1000 (old) or 300 (new). Applicants must also have a cumulative GPA of 3.0 or better and a science GPA of 3.0. Test of English as Foreign Language (TOEFL) Scores (International students only). 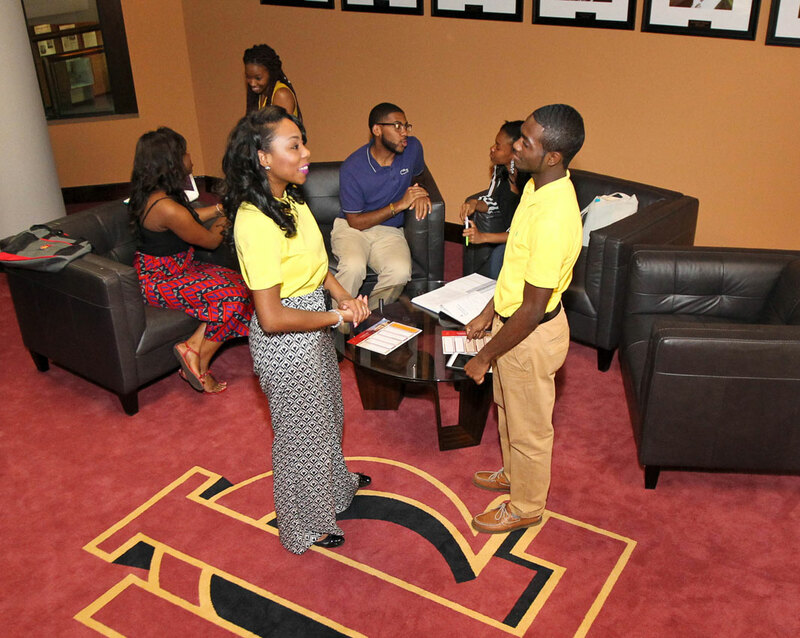 The student’s Advisory Committee may recommend transfer credits for up to 9 credit hours for graduate courses taken by the student at Tuskegee University as part of another graduate program or at any other institution. Transfer credits may be recommended under both core and elective categories. 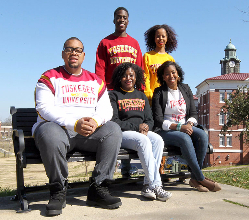 Tuskegee graduates from the Department of Chemistry may use up to six credit hours of undergraduate work in course that are 500 level and above. Graduate students can apply to be admitted to candidacy for the M.S. 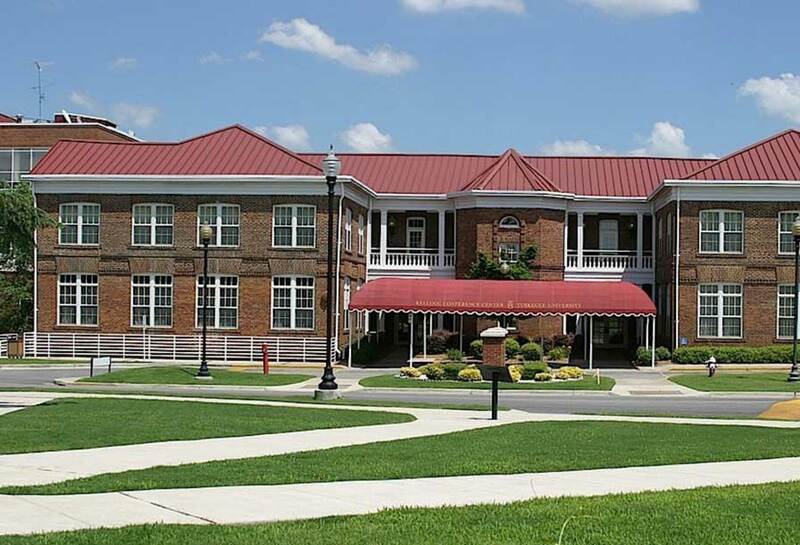 degree Immediately after completing 18 credits of course work at Tuskegee University, the student must submit to the Dean of Graduate Studies, a completed application for the Candidacy for the degree. A student pursuing the Master of Science degree in Chemistry must present at least two seminars. The first seminar shall be the presentation of the student’s research proposal of the Master’s thesis. The second or the final seminar shall be his/her Final Oral Examination for the degree. The student is also required to participate in all seminars arranged by the department. The final draft of the thesis must be filed with the student’s Advisory Committee at least 30 days before the date listed in the university calendar for final copies to be submitted during the semester in which the student expects to graduate. The student must present to the Dean of Graduate Programs a “Preliminary Approval Sheet” (PAS) bearing the signature of the Major Professor before the final oral examination may be scheduled and before copies of the thesis are distributed to members of the Examining Committee. After the “Preliminary Approval Sheet” has been signed, it should be submitted to the Dean of Graduate Studies before the final examination is scheduled and before the final draft of the thesis is prepared for final approval. Approval of the thesis in its final form rests with the Examining Committee. Research assistantships and fellowships are available for students admitted to the program. Continuation of the financial support depends on student’s performance in course work and research, and availability of funds. Core Courses: 14 credits; Elective Courses: 10 credits; Thesis Research: 6 credits; Pass 4 Qualifying Examinations (General, Organic, Physical and Analytical); Admission to Candidacy; Passing of the Final Oral Examination. At the end of the second semester of his/her study in the Master of Science program, the student and his/her Major Professor must recommend to the Head of the Department for approval, the student’s Advisory Committee consisting of a minimum of five members including the Major Professor. Two of the members can be from outside of the department as long their research interests align with that of the student. 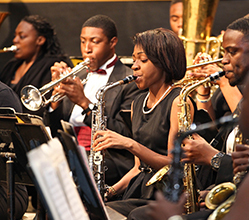 1 Some exceptions may be made for students who show special aptitude as designated by the admissions committee. The CORE courses, seminar, and research add up to 20 credits. The combination of core and elective courses, seminar, and research credits combine to make 30 credit hours required for the M.S. degree. Outside electives, i.e. courses that are not in the chemical sciences, are limited to six credit hours and may be substituted for recommended electives at the Major Professor’s discretion with the approval of the Department Chair. Electives may be taken from Agricultural Sciences, Biomedical Sciences, Chemical Engineering, Materials Engineering and Food and Nutritional Sciences.